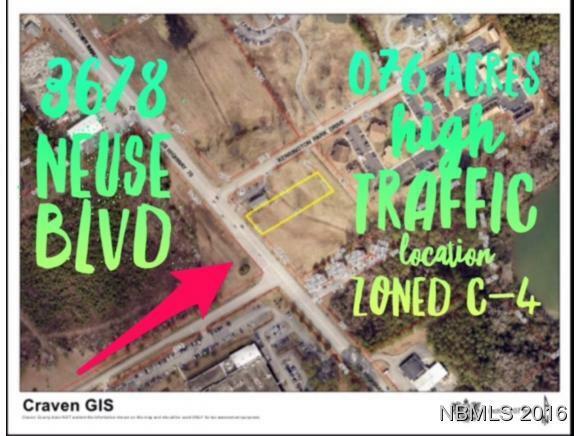 This prime Commercial property is centrally located in New Bern & directly across from BSH Home Appliances which results in extremely high traffic. This ready to be built on proeprty is currently cleared & contains apx. 0.76 acres & is zoned C-4. Property has quick access to Hwy 70, Hwy 43 & Downtown New Bern & is down the street from Carolina East Hospital.